I was randomly musing about Nokia stuff, as you do. The N9 was the subject of thought, and I was remembering that I’ve feen fascinated by it ever since we found out Nokia had an all new naming scheme. Name + 1 letter. That meant that from 1-9, N9 would be the most powerful of all Nseries. We need a N10 perhaps. N10 sounds like that cartoon, Ben Ten. But doesn’t N10 look like NIO or NEO. That wouldn’t be too farfetched of a Nokia name. 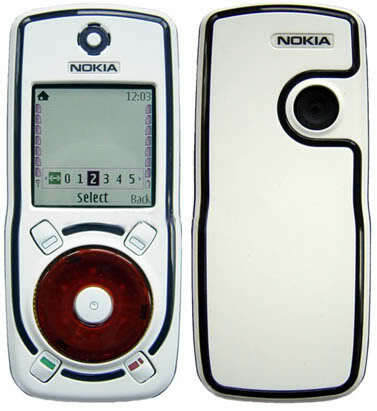 They’ve actually had a product before called the Nokia Neyo – with iPod esque wheel (though I don’t think anything ever came of it). Something else this also ties in with perhaps is the possibility of Nokia using Neonode Zforce. There’s rife rumours over at maemo.org forums. Neo – means new. Revived form. I think that would be cool for Nokia, what with the need to have a NEW image and revived success. Ha, just an idea. This has got to be a name that carries on as a brand. Like Galaxy, like iPhone etc. Read up that little rant post from 2009 on what I’m complaining about name wise. I know some of you prefer numbers and don’t like the ridiculous names being given to Android handsets (Samsung, mostly HTC are culprits – with HTC’s dictionary of anything goes names. ChaCha. OK). We could have both. Like Samsung’s models have a model number and a name. « Video: Windows 8 Tablet demo! I want one of these now!